Hard to believe that August is here! Not to worry… we have a few months of lovely weather yet to come. Nevertheless, might be time to consider what you would like to add to your yard. 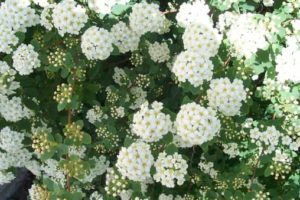 Have you considered a flowering Dogwood Shrub? They are lovely to look at and easy to maintain. AND this month, your friendly nursery, Heritage Hill, is offering a whopping 25% off! 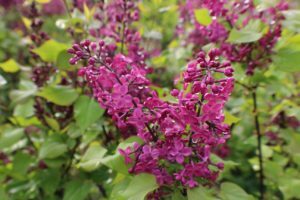 Another favorite that has a short, but oh so sweet blooming season, is the Lilac Bush – now 20% off! We simply cannot resist that alluring frangrance and of course the beautiful brilliant flowers in a variety of rich colors. Check our Seasonal Tips for more info about the above plants… and stop in, won’t you? We’re here to help! You know you can count on Heritage Hill Nursery for healthy strong plants. Visit Heritage Hill Nursery soon! We are conveniently located, close to Cedarburg, Jackson, West Bend, and Slinger, WI. 25% off All varieties of Dogwood Shrubs!